We live in the south. If someone is not a fan of sweet tea, everyone is instantly suspicious of where they are from. Everyone here drinks it, devours it and craves it. Sweet tea is what Texas tastes like, folks! It reminds me of childhood and Sunday dinner around the table. My mom always seemed to cook more on Sunday’s and sweet tea was part of Sunday dinner. Wait, have you ever added flavor to your tea before? Like, fresh fruit flavor? Let me show you how easy this is to do and how perfectly it goes with your favorite supper. We made a grilled chicken pasta dish (as we relish the last few weeks of summer). Our fresh brewed tea was a perfect accompany! Let’s make the peach sweet tea. It’s perfect for any meal, but I want to show you just how spectacular it is for a Sunday supper. Or, maybe you have company over after church? Maybe it is just you and your sweet family. Either way, it is together around the table. 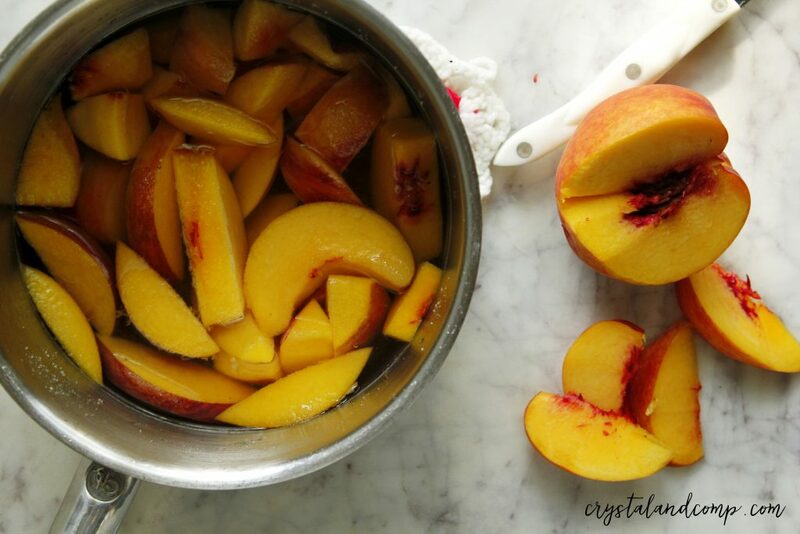 In a medium sized sauce pan, bring 4 cups of water, 1 cup of sugar and the fresh peach slices to a boil. Remove from heat and let it sit for about 15-20 minutes. In another medium sauce pan, boil 4 cups of water on the stove top. Once it reaches a boil, pour it into a heat-proof pitcher and add your two tea bags. Remove the tea bags from the pitcher. Add the peach and sugar sauce you just made in the other pan. (I love that the peach slices go to the bottom of the pitcher. You can mash them up a bit if you want. I like them left whole and so does my family. Add 2 cups of ice cubes. Stir. 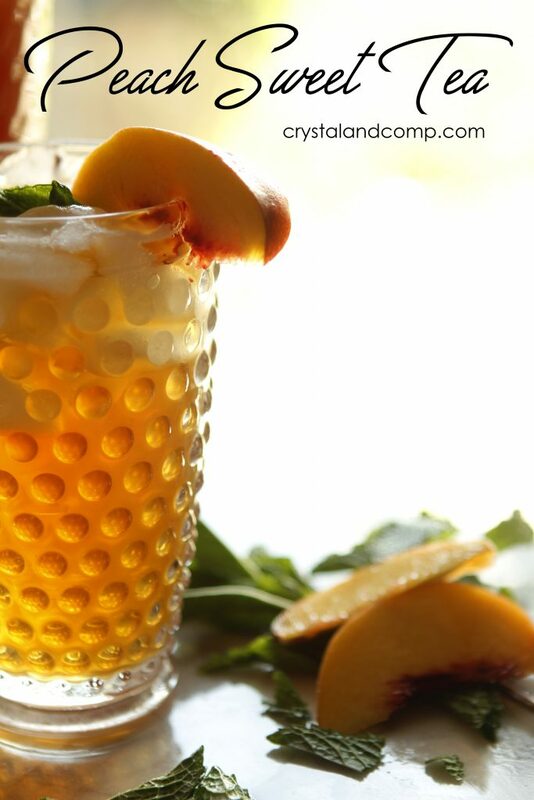 Serve in glasses with a fresh peach slice and mint for garnish. 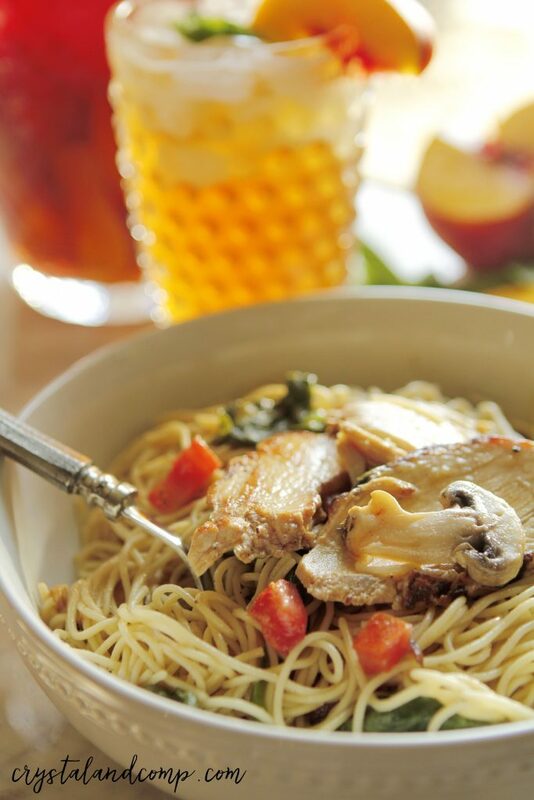 This peach sweet tea went perfectly with our chicken and pasta dish with vibrant veggies like fresh spinach, mushrooms and tomatoes. Sshhh, don’t tell it is a dish reinvented from our favorite mom and pop Italian restaurant here in town! Suppers like this are perfect with lots of conversation and love. As this new school year starts, and summer comes to a close, I want you to ask yourself how you can make dinnertime meaningful and important this school year. Time is fleeting… and babies don’t keep. It seems like yesterday we were just celebrating first birthdays. Dinner at the table together, with great food, a quenching drink, and positive conversation, are what making memories is all about! 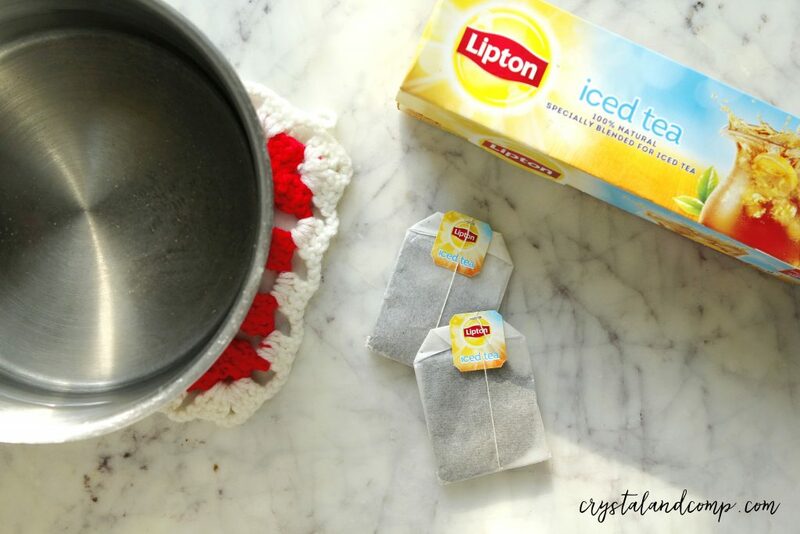 And, this is what makes a Lipton meal!